Europe represents the epitome of the human experience. With the continent’s breathtaking natural beauty, storied past, unrivalled art and culture and vibrant people, a European tour is sure to be quite unlike any holiday that you have ever taken before. See gothic cathedrals in Germany, Renaissance artwork in Italy, picturesque islands in Greece and charming medieval streets in Austria with our bespoke European tour packages. Whether you are an adrenaline junkie craving ski slopes, a foodie salivating at the thought of lasagna or a culture vulture looking for your next art fix, your European tour with Akbar Holidays will not disappoint. The cradle of Western Civilization, Greece, is one of the most popular holiday destinations in Europe especially among honeymooners. The Greek leg of your European tour will take you to symbols of Greek antiquity like the Acropolis in Athens that houses the iconic Parthenon, a temple dedicated to the goddess Athena, and the ancient cities of Delphi which was considered the center of the world and Olympia where the first Olympic Games were held. Your European tour package will also include visits to the stunning Greek islands such as Mykonos, Crete and Santorini. Known for their blue domed houses, lip smacking food and colourful nightlife, your trip to the Islands will be the highlight of your European tour. Another tourist magnet in Europe is France. The country sees more tourists than anywhere else in the world, most flocking to the capital, Paris, to see the Eiffel Tower, possibly the world’s most visited tourist attraction, and the Louvre Museum, home of the Mona Lisa. 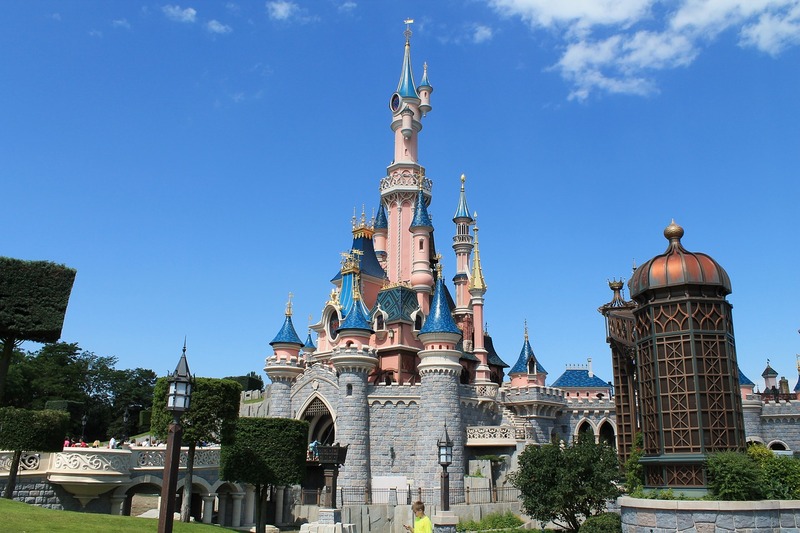 While the French leg of your European tour will show you all of Paris with a cruise on the River Seine and a tour of the charming Latin Quarter, you could also see the natural beauty of the French country side with its vineyards and rolling hills. Make sure to book a European tour package that includes Bordeaux for its wines, Versailles, the port city of Marseille and the French Riviera. Also called the Côte d'Azur, the Riviera lines the Mediterranean Sea and is one of the most beautiful regions in all of France. Italy certainly deserves a spot in any European tour package. Home to the highest number of UNESCO World Heritage Sites anywhere in the world, Italy is brimming with high art and culture. 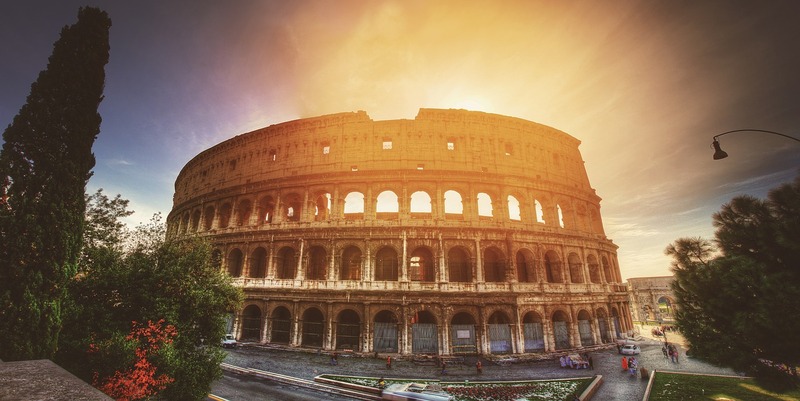 You can see the Colosseum of Rome, the canals of Venice, the famous Leaning Tower of Pisa and the piazzas of Naples. Ancient Rome was the greatest power of its time; a fact apparent in the forums and palaces still standing in Rome today. European tour package also includes a visit to the ancient city of Pompeii, a short drive from Rome. The eruption of the volcano, Mt Vesuvius resulted in the city becoming one of the best preserved examples of ancient Roman life. You can still see graffiti on the walls and utensils used two thousand years ago. 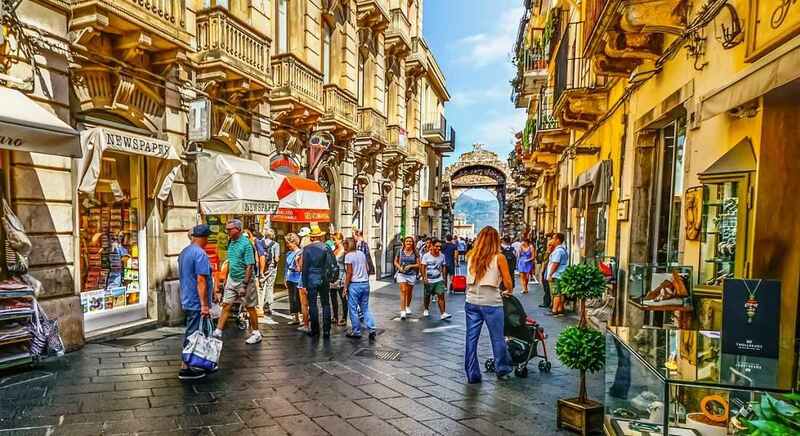 Another must visit in your European tour package is Sicily, the largest island in the Mediterranean that promises a sensory overload with its vibrant sights and sounds. Thus, the nation is more than just renaissance paintings and churches. With its delicious cuisine, trend setting fashion industry, snow-capped mountains and azure coast, your European tour of Italy will be anything but dull. Sunny Spain with its welcoming weather, warm people, vibrant culture and fascinating history makes for a perfect holiday destination and is an essential part of every European Tour Package. Its capital, Madrid, is the financial, political and cultural capital of Southern Europe. The city houses the Royal Palace, the well-known public squares, Puerta del Sol and Plaza Mayor, the Royal Theatre and two of the most famous museums in the world, the Prado Museum and the Reina Sofia Museum. Your European tour of Spain should also take you to Barcelona, the largest city on the Mediterranean Sea. Its rich cultural heritage, pretty beaches and spectacular architecture draw millions of visitors to it every year. Be sure to visit the Sagrada Familia, an unfinished basilica built by the architect Antoni Gaudi, the Rambles, a tree lined carnival like boulevard and Camp Nou, the FC Barcelona stadium. We also recommend watching a traditional flamenco performance and hiking up the Montserrat hills that house an 11th century abbey. If you happen to visit Spain in the month of August, don’t forget to drop by in nearby Buñol to enjoy the Tomatina festival, the largest food fight in the world, of ‘Zindagi na Milegi Dobara’ fame. Known for its canals, tulips, wind mills and chocolate, the Netherlands is a favourite among travellers taking a European tour. Your European tour package will include the Dutch capital, Amsterdam, known for its 400 year old canals, the Rijksmuseum and its many famous residents including Vincent van Gogh, Anne Frank, Rembrandt van Rijn and Baruch Spinoza. Most of the country lies below sea level and is protected by dikes; structures that prevent sea water from coming onto land. You could see the dikes and the famous Dutch windmills in Kinderdijk in South Holland. The cities in the Netherlands that would interest tourists include Groningen, Rotterdam and The Hague. Enjoy the food, nightlife, architecture and people on your visit to the Netherlands. Switzerland has been immortalized by Bollywood in many a blockbuster. Its crystal lakes, towering mountains and sprawling meadows are every nature lover’s dream. Your European tour package will include trips to the picturesque hubs of Interlaken, Zermatt, Lucerne and Grindelwald but Switzerland is much more than just nature. 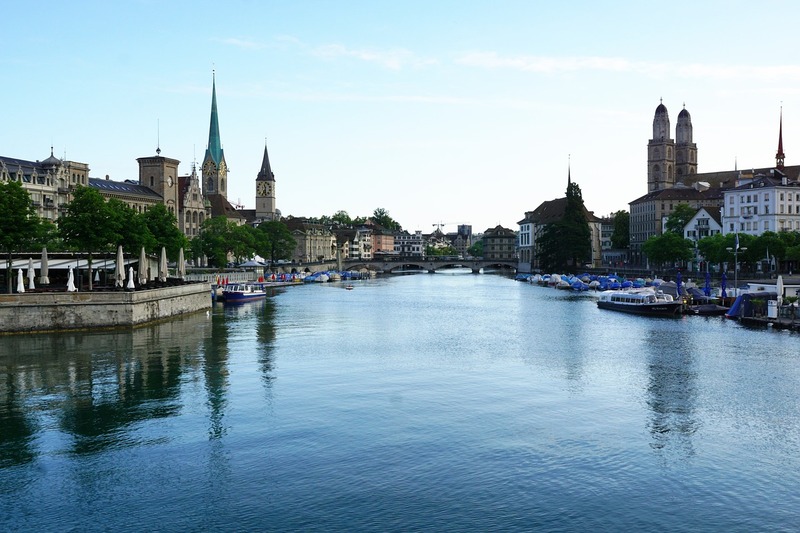 Make sure your European tour includes a visit to the uber chic Geneva, the watch haven Basel and the capital city Bern with its Old Town that dates back to 1191 AD. Wander through the cobble stoned streets of the cities and hike up the hills to really experience the country. Savour some delicious Swiss chocolate, fondue and Fendant wine during your trip that make for a truly authentic Swiss experience. However the country’s biggest attraction has to be its ski slopes. Since the nineteenth century, Switzerland has attracted tourists with its diverse landscapes and winter activities. Its natural hot springs have also contributed to its reputation as a wellness retreat. Towns such as the ultra-exclusive St Moritz are marketed as luxury alpine resorts that boast of world class spas. Experience Germany’s mesmerizing scenery with its dense, dark forests, gushing rivers, rugged mountains and vast glaciers with our European tour package. Besides its natural beauty, Germany is known for its fairytale castles, half-timbered towns, ultramodern cities and classical music. The country’s chequered past has given the world the Holocaust as well as baroque music, aspirin and the MP3 player. It is the birthplace of luminaries like Karl Marx, Beethoven, Nietzsche, Michael Schumacher and Albert Einstein who have left an indelible mark on world history. Our European tour in Germany promises an exciting journey through the nation that will take you to medieval castles, Roman ruins and soviet relics such as the Berlin Wall. Visitors in the month of October shouldn’t miss Oktoberfest, the world’s largest beer festival. Held in Munich for over two weeks every October, the festival sees nearly six million attendees drink over eight million litres of beer. Besides beer, you can enjoy traditional German food, games and shopping in the fairgrounds. Another popular holiday destination is Central Europe. A European tour package that traverses Austria, Hungary, the Czech Republic and Poland is a favourite among adventurous Indian travellers. Austria is a powerhouse of art, culture and music. The birthplace of the biggest name in Western Classical music, Mozart, the tiny nation has also given the world composers such as Haydn, Schubert and actors such as Arnold Schwarzenegger, Christoph Waltz and Hedy Lamarr, the inventor of WiFi technology. Poland, till recently was only favoured by World War buffs and Europeans looking for a weekend getaway. However, the architectural wealth of Krakow and chicness of Gdansk has brought Poland into the collective consciousness of tourists everywhere. The history of this European nation is over four thousand years old dating back to the Bronze Age and displays examples of nearly every age in European history. From renaissance and baroque to art nouveau and postmodern, styles of every hue are represented in Polish art and architecture. Those with a sweet tooth will love Polish cuisine with its fruit dumplings and strudels. Prague, the capital of the Czech Republic, is the fifth most visited city in Europe, testament to its growing popularity as a holiday destination. The country boasts of virtually unchanged medieval buildings such as the 14th century Charles Bridge and the St. Vitus Cathedral. It is the perfect place to experience Bohemian culture, Gothic art and some of the best beer in the world. Neighbouring Hungary has seen a similar revival in its fortunes as a tourist spot in Europe. Home to the largest thermal water cave system in the world as well as the largest lake in Central Europe. Hungary attracts visitors as much for its natural beauty as it does for its cities. One of the continent’s most romantic cities, the Hungarian capital Budapest, is known for its thriving nightlife, varied architecture and excellent wines. Europe maybe tiny but with its diverse cultural heritage, fascinating history and spectacular scenery, a European tour package of the continent promises a soul stirring experience you will never forget.